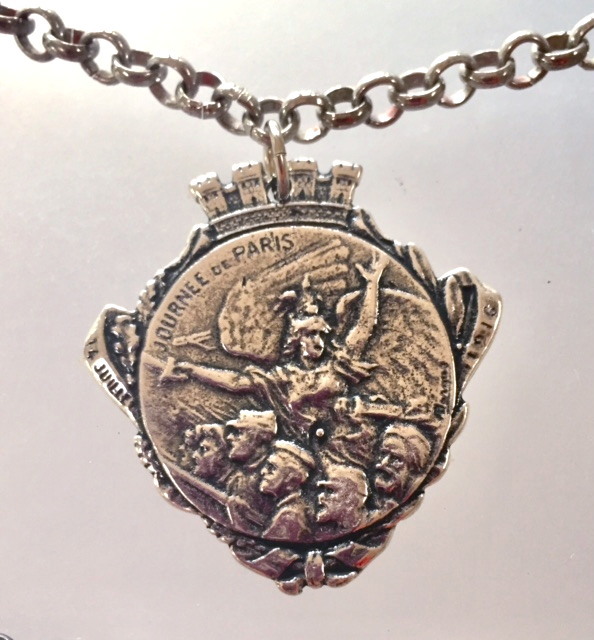 We were so excited to discover this French WWI medal on a recent sojourn to France. The top has a stately Castle and the representation of the angel protecting the soldiers is mesmerizing. The left side has July 14th, (in French) the Bastille Day in France and the right side is dated 1916. WW1 Journee du Poilu MEDAL 14th July 1916 used to help raise money for the war effort. Gloriously depicting a winged angel flying over soldiers to aide then in battle, the rear depicts Paris coat of arms, surrounded by leaves. Designed & signed by renowned Art Nouveau French artist Armand Bargas. The historical piece is on a rugged Rollo chain. 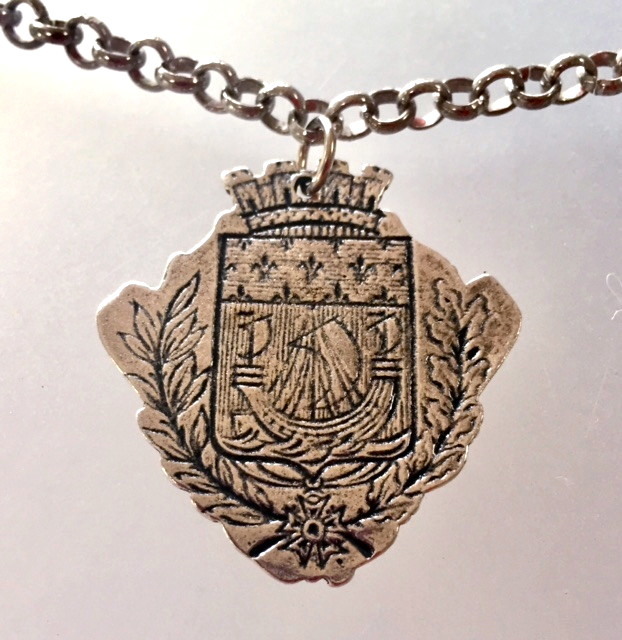 It is cast in Sterling Silverplate from the original antique piece over a century old, this bold reproduction is hand crafted. Chain is 22" medal 1 3/8" by 1 3/8".